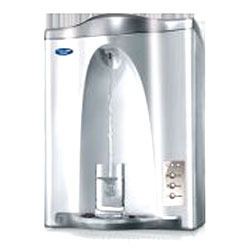 Our company has gained immense experience in the field of presenting Aqua guard Crystal Water Purifier. Mahavirs Kitchen Gallery is the most trusted name in between the topmost companies in the market and came into existence in the year 2012 as a sole proprietorship based firm. The headquarter of our corporation is situated at Bengaluru. We are efficiently engaged in manufacturing ,wholesaling and trading a wide assortment of Kitchen Equipments, Oven Toaster Griller, Induction Cooktop and many more. These products are highly appreciated amongst clients for their impeccable quality and seamless finish.